The faculty, staff, and students of the College of Human Sciences and across Oklahoma State University have been recognized many times for their community-engaged projects, practices, and policies. This page includes information about some of the most prominent awards and recognitions we have received. The Carnegie Foundation Elective Community Engagement Classification recognizes universities that have shown sustained excellence in collaborating with off-campus communities. Qualifying for the classification requires documenting important aspects of institutional mission, identity, and practice. It involves evidence of substanital and ongoing effort across campus. OSU has continuously maintained this classification since 2006. The President's Higher Education Community Service Honor Roll recognizes institutions of higher education that raise the visibility of effective, meaningful service. Institutions on the honor roll play a leading role in addressing community challenges. In 2017, OSU was recognized in both the General and Economic Opportunity categories. The Economic Opportunity recognition highlights OSU's efforts to build economic independence, increase family stability, and create more sustainable and resilient families. Campus Compact is a national consortium of more than 1,000 universities and colleges committed to the public purposes of higher education. For more than 30 years, Campus Compact has been a leader in community-university engagement leadership, training, and resources. 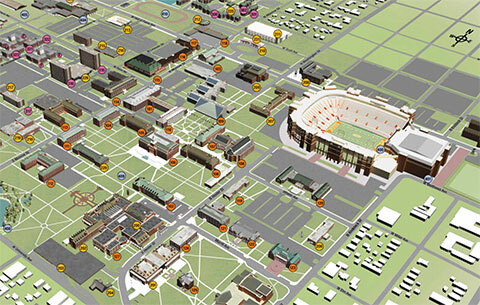 OSU is an active member of Campus Compact at both the state and national level. OSU faculty, staff, and students have received numerous awards, grants, and recognitions from Campus Compact in recent years. Civic Action Plans (CAP) are an initiative of Campus Compact that invites universities to create a five-year plan to expand and strengthen their community engagement activities. OSU published its CAP in December 2017. OSU’s CAP reaffirms the university’s fundamental commitment as a land-grant institution to creating and sustaining mutually beneficial partnerships with communities across Oklahoma and beyond. The plan includes several recommendations to increase the scope, efficiency, and equity of OSU’s off-campus partnerships. The CAP was written with input from OSU faculty, administrators, and staffand was accepted by President Burns Hargis, Provost Gary Sandefur, the Council of Deans, and the Faculty Council. The Engagement Scholarship Consortium (ESC) is a group of nearly 40 universities and colleges that collaborate on issues related to community partnerships. The ESC supports academic journals and awards as well as an annual national conference on the methodologies and best practices of community engaged teaching and research. OSU is an institutional member of the ESC. OSU faculty and staff have served on multiple ESC committees and presented original research at ESC conferences. The W.K. Kellogg Foundation Community Engagement Scholarship Awards are given annually to exemplary community-university partnerships in four regions across the United States. Recognized partnerships are mutually beneficial and demonstrate true collaboration at all times. Kellogg Awards have been given annually since 2006 as a partnership between the Association of Public and Land-grant Universities and the Engagement Scholarship Consortium. In 2017, a community nutrition and public health partnership between the Chickasaw Nation and members of the College of Human Sciences was recognized with a Kellogg award. The partnership was selected from a region of 20 states and US territories. Read more about the partnership and award here. The C. Peter Magrath Community Engagement Scholarship Award is given annually to an exemplary community-university partnership in the United States. The Magrath Award is a national recognition selected from among that year's recipients of the W.K. Kellogg Foundation Community Engagement Scholarship Awards. Magrath Awards have been given annually since 2006 as a partnership between the Association of Public and Land-grant Universities and the Engagement Scholarship Consortium. In 2017, a community nutrition and public health partnership between the Chickasaw Nation and members of the College of Human Sciences was recognized with the Magrath award. Read more about the partnership and award here.